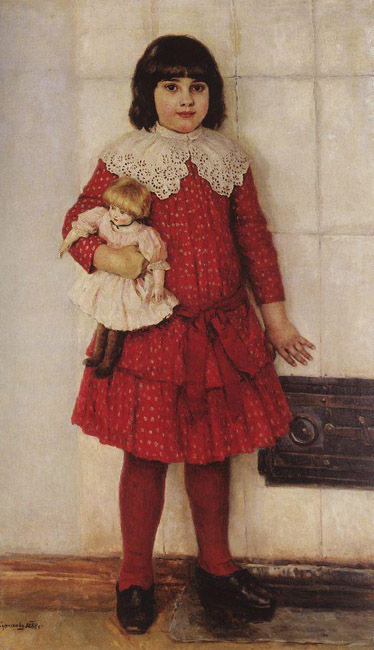 … and "Boyarynya Morozova", 1887. 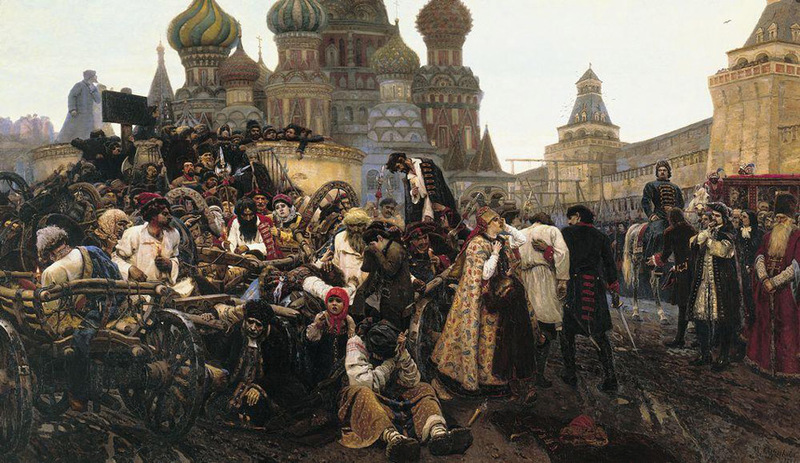 With the depth and insight of a veritable historian and religious visionary, the artist revealed in these paintings the tragic contradictions of history and the unearthly logic with which it advances, and shows the struggle of historical forces in the time of Peter the Great during the schism. 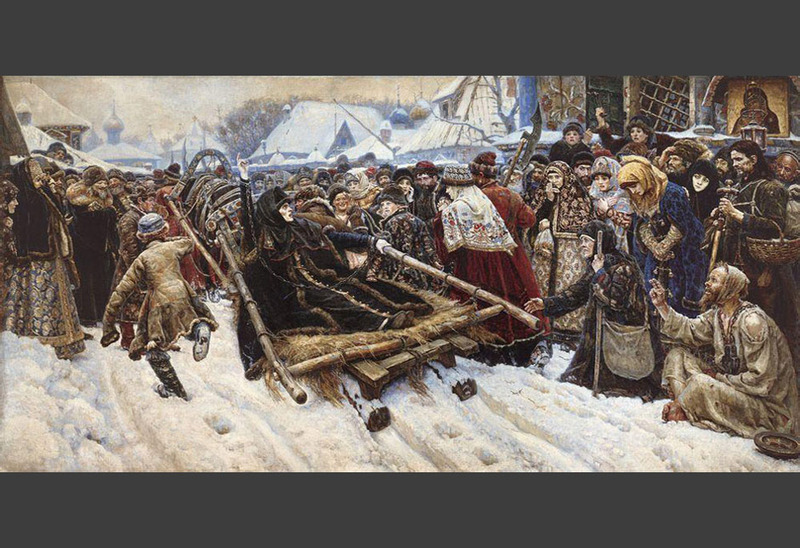 Surikov is attracted by strong vibrant personalities in which the rebellious spirit of the people runs deep: the fierce determination and indomitable spirit of the red-bearded Streltsy in the "Morning of the Streltsy Execution" (1881), and the passion and fanatical asceticism of Boyarynya Morozova in the eponymous painting. 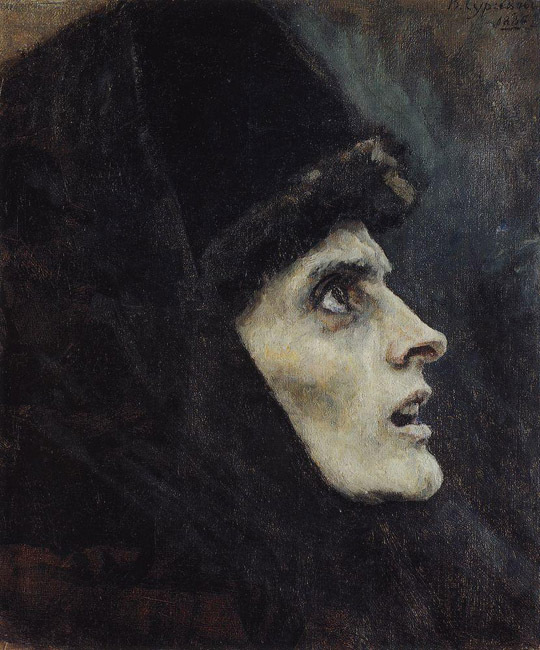 After the sudden death of his wife in 1888, Surikov fell into a severe depression and lost interest in painting. 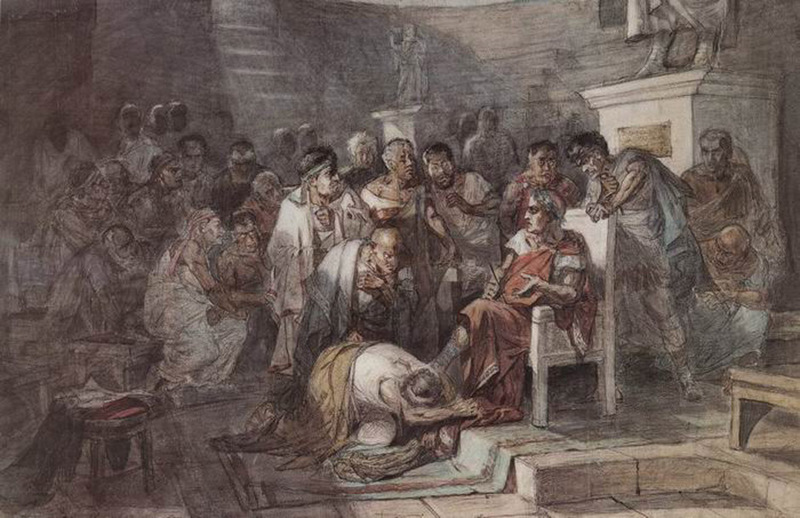 No one knows the pain and mental anguish he endured. But his will was not broken. 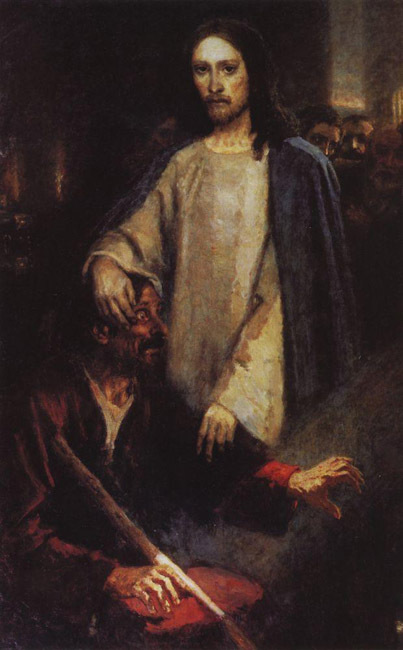 The painting "Jesus Healing a Blind Man," 1888, in which the recipient of the miracle betrays a certain likeness to the artist, is peculiarly symbolic of his own enlightenment and revival at that time. 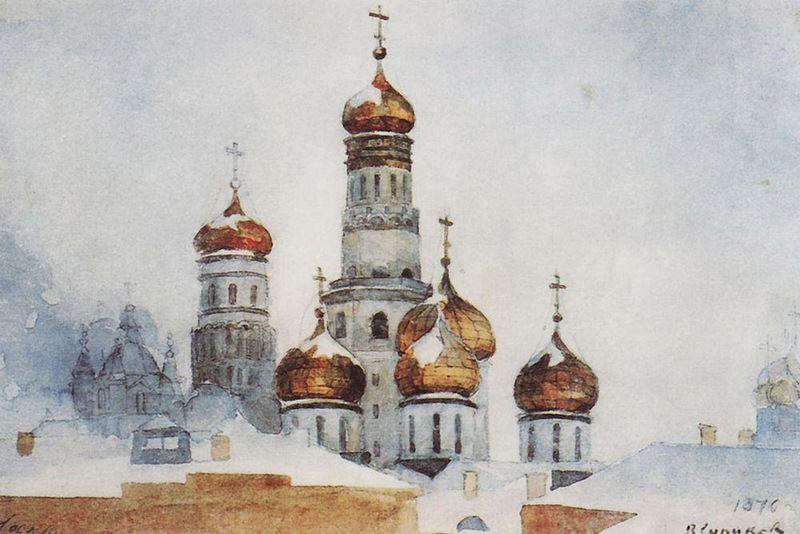 Having overcome his spiritual angst (following a trip to Siberia in 1889-90), he created the unusually bright and cheerful canvas "The Taking of Snow Town", 1891, freeze-framing the classic image of the Russian people, full of daring, health, and joie de vivre. 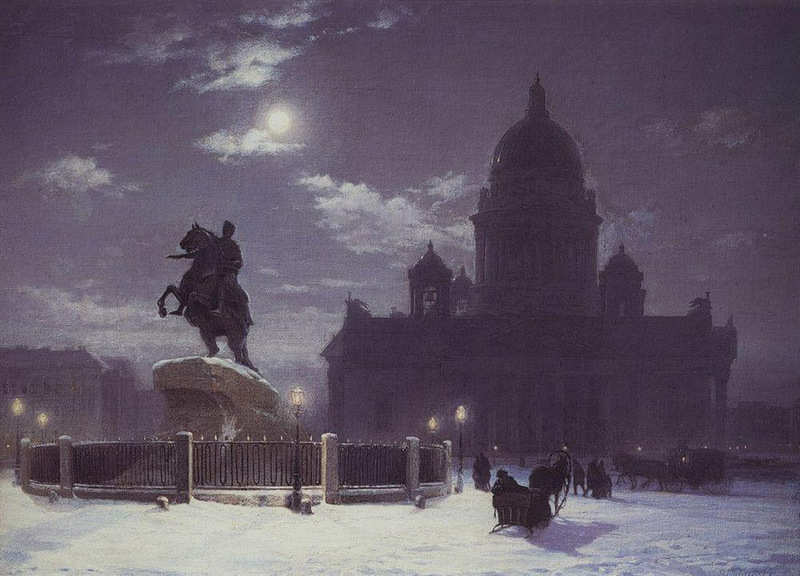 In his historical paintings of the 1890s, Surikov once again revisits the theme of national history. 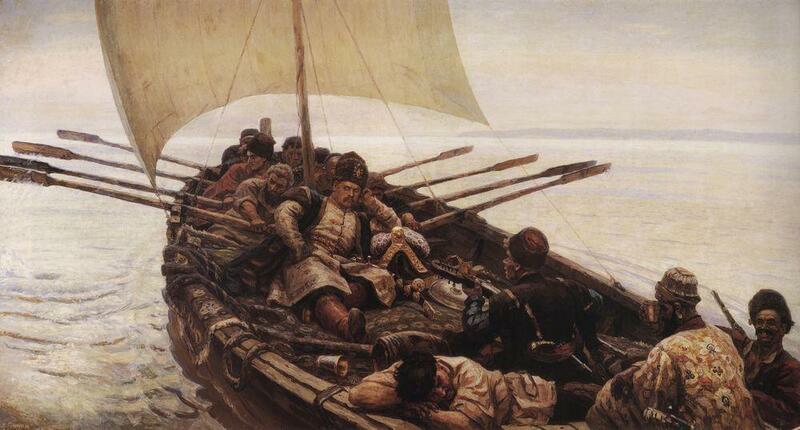 The painting "The Conquest of Siberia by Yermak", 1895, depicts the heroism of Russian warriors in the name of liberating their native land. 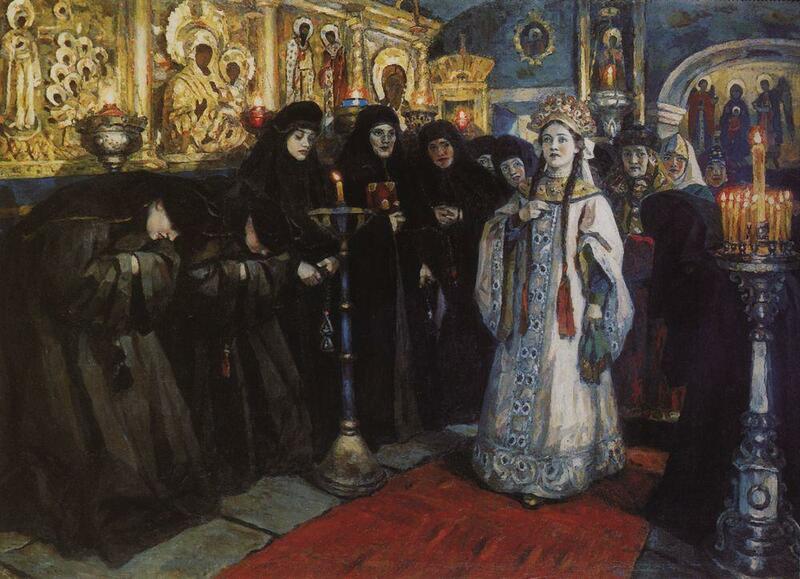 The painting was presented at the XXIII Traveling Exhibition in St. Petersburg. The exhibition was visited by Tsar Nicholas II and Empress Consort Alexandra, who bought the work for forty thousand rubles. 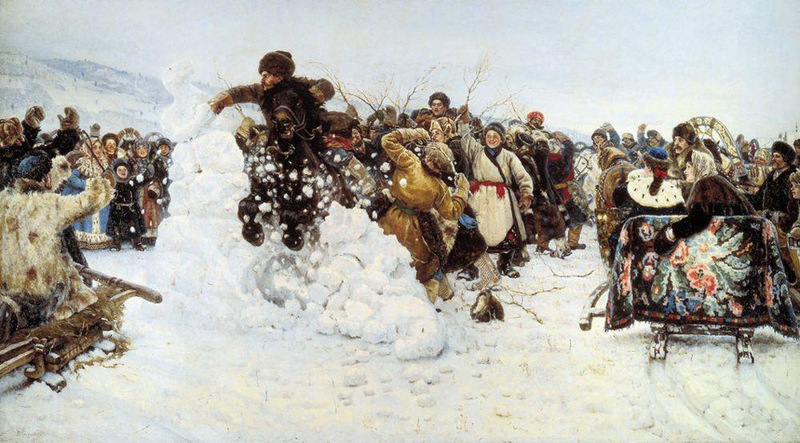 At that time, the country was celebrating the 300th anniversary of the conquest of Siberia and the opening of the Trans-Siberian Railway, so Surikov inadvertently "hit the spot," ending up in the awkward (for him) role of official painter. 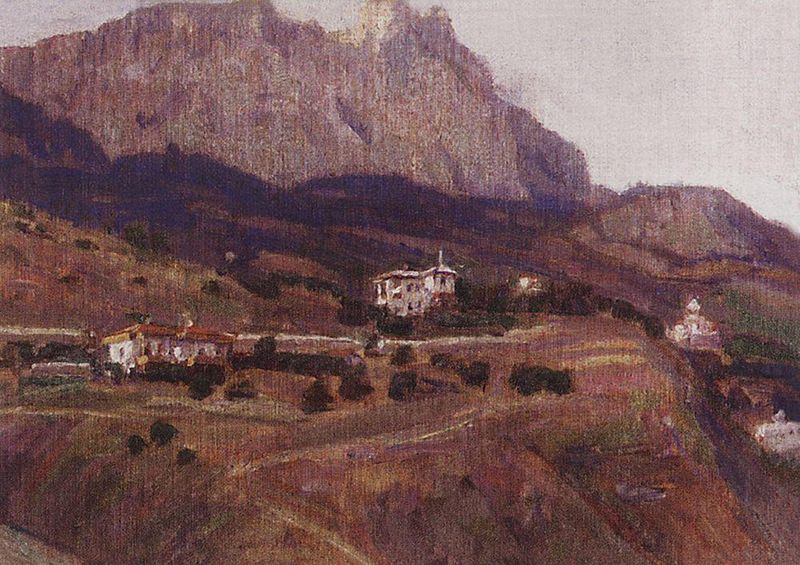 In 1895, the Council of the Academy awarded him the title of academician. 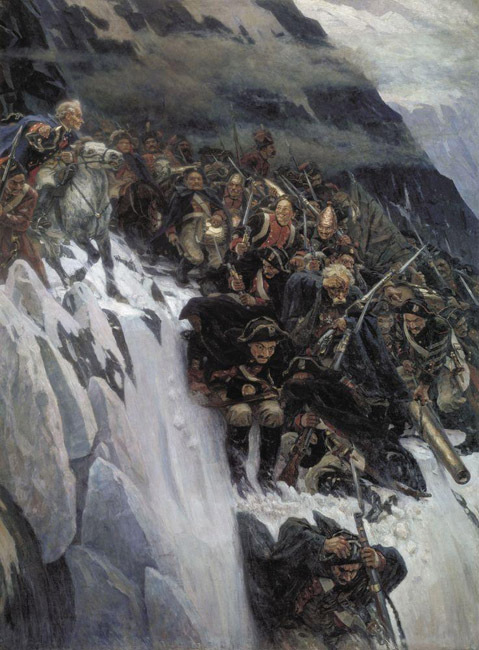 The canvas "Suvorov Crossing the Alps", 1899 celebrates the courage and bravery of the Russian army. 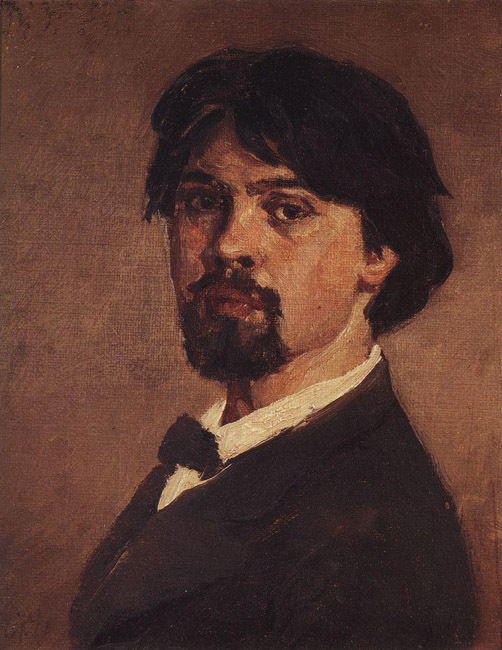 However, these oeuvres lack the perfection of his masterpieces of the 1880s. 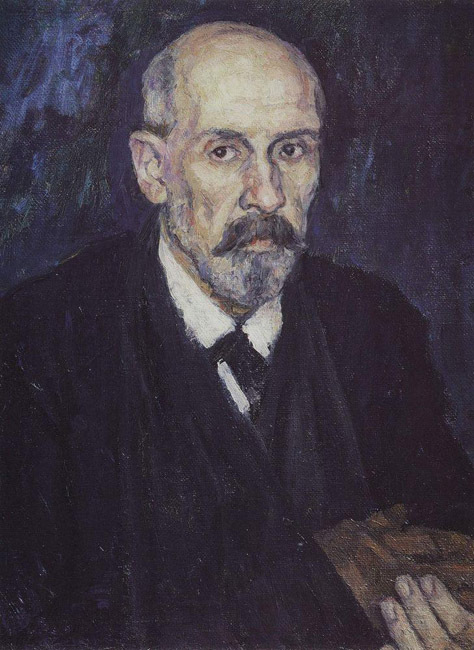 The artist's next historical work was "Stepan Razin" (1910). 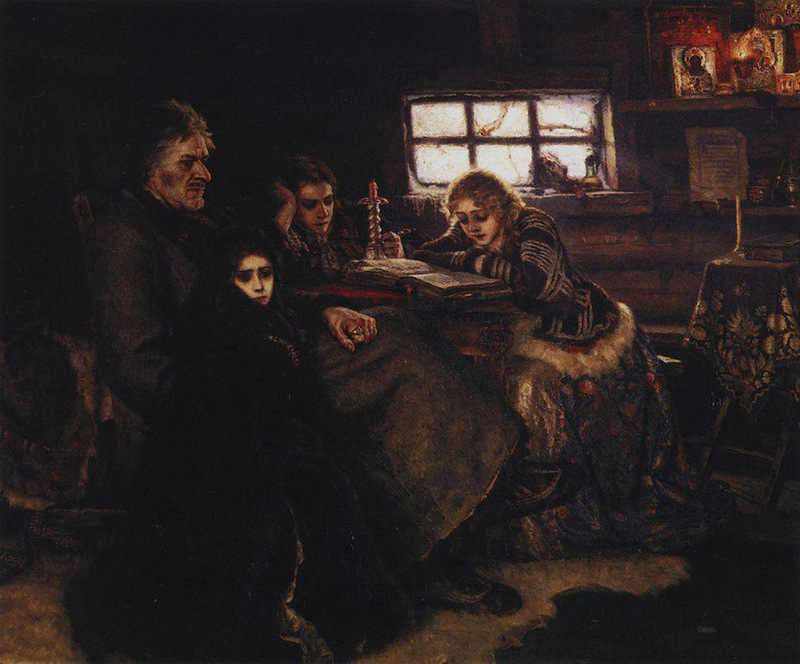 The first esquisses were presented in 1906 at the exhibition in Moscow, but Surikov was not satisfied with the results, he did not feel the unity between Razin and other personages, so he returned to the subject and tried to make it better.